It was a blow to my confidence. Doubt swept over me. Another “no.” Another pass by a major publishing company. This week I had to do mental gymnastics to encourage myself in this process of becoming a published author. It has become crystal clear that rejection has joined me in my journey. What is surprising is that I found encouragement in other author’s rejection letters in order to get out of my emotional slump. Diary of Anne Frank as it was rejected over 15 times and eventually sold over 25 million copies. In addition, C.S. Lewis’ work was rejected for years before Chronicles of Narnia was accepted and went on to sell over 100 million copies. ﻿Even author J.K. Rowling received 12 rejection letters in a row before the famous Harry Potter series was published. And we all know how crazy popular this series has been abroad and in the United States. According to Scholastics.com, “The Harry Potter books are distributed in over 200 territories, are translated into 68 languages and have sold over 400 million copies worldwide.” Amazing right?!! 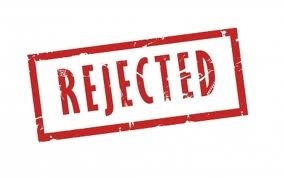 ​So, it looks like rejection is just par for the course! ​My answer is yes! I am willing to travel with rejection as my partner. I won't stop but will keep moving forward. I won’t give up because my dream is calling me to continue to press on. And then, one day, rejection will have to go find someone else. I am currently doing the research for my next manuscript and I had the privilege of traveling to the place where the story begins….La Hispaniola or as the Native Taino people called it “Ayiti” which means mountainous land. ​The left side of the island was later renamed Haiti in 1804 by the slaves who won their independence from France and the right side was declared the Dominican Republic. The history of Ayati is amazing and from June 15-20th I had the opportunity to visit the west side of the island, the country of Haiti. I traveled with five other ladies and our purpose was to partner with the organization Share Hope whose mission is to help alleviate poverty through responsible textile trading. Our goal was to partner with Share Hope in order to provide their pregnant factory workers health education regarding the Zika virus. We partnered with Share Hope’s Her Health educators and visited over 10 factories while speaking with over 300 pregnant women. It was such an honor as a mother of four to be able to travel across the ocean to help inform my dear sisters on how to protect their babies from Zika. I’m not sure how this trip will influence my story, but I will not forget the beautiful Haitian people. Although they live in very oppressive circumstances they still exemplify a strength that I have not witnessed before and I hope to share that with the world. 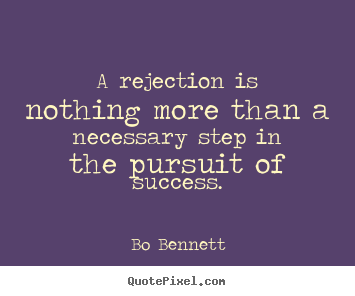 How do you respond to rejection? This week I received my first “no” from a publisher. Rejection never feels good but I took it pretty well. ​I am so amazed that I’ve made it this far in the process of becoming published and I really believe my day will come. The story I’ve written needs to be told and with divine help, it will make it out into the world! No word yet. It’s been a month since my editor sent my manuscript out to publishers. So far at least five major editors in New York have my story. In the publishing industry a month is not a long time. So in the meantime I’m waiting patiently and researching for the next book! Jayda drawing in her new sketchbook. I keep dreaming about the day when I will become a published author. I can’t wait to speak at schools and libraries to share my story. I’ve always looked up to authors and although I haven’t met most of my favorites, I still consider them mentors. Authors and illustrators have a great influence on their readers and this truth came to life just last week. I took my kids to see award winning author and illustrator Brian Pinkney at the public library. The room slowly filled up with young and old waiting in anticipation to hear him speak. In addition, the kids were really shocked when Brian stated “I have over 120 sketchbooks.” As he showed one of his books, he explained that he would always travel with a sketchbook because inspiration could come at anytime. I also love to draw and paint but have been too busy to make it a priority---so most of my supplies have been collecting dust! Anyway, Jayda’s request was a big deal considering most of her drawings were done on scratch paper littered around the house! I couldn’t believe it! An hour with a professional illustrator and my daughter became a drawing machine! The power of Brian’s story was immediate and powerful! I only hope that in my future I will be able to do the same--inspire the next generation to keep pursuing their dreams! Thank you Brian Pinkney for making time to visit us at the library. Your story and willingness to share your experience has influenced my daughter in a powerful way and who knows where she will take this passion! Editorial Director, Donna Condon with Harlequin Publishing house said that she receives approximately 100 book submissions per week from agents and only accepts 1 in every 400-500! This is just reminder that getting published is extremely difficult. Now all I can do is pray, wait, and start working on my next book! Start Asking Questions--It Just Might Lead You to Write Your First Manuscript! As a homeschool educator I am responsible for selecting the curriculum my children use for school. As their history teacher I want them to have a well-rounded perspective of world history and not just learn it from one perspective. History taught only from the majority culture will exclude many experiences from the narrative. I want my children to be able to analyze historical accounts and to have the skill to determine whose voice is missing from the story. They can gain this skill simply by asking questions. Asking questions can be a powerful way to discover new thoughts, ideas, and perspectives. In fact, I started writing my first manuscript after sitting in a bookstore and viewing about about 40 children picture books on display about New York. None of them featured an African American. So I posed the question to myself: How did African Americans contribute to the development of New York City? This one question led me on an exciting journey. Not only did I want my children to know the answer to this question but I felt it was significant enough to share with the world. I began to dream about the potential ripple effect this knowledge could have on the children in the United States. The pride, the dignity that could be transmitted through my story. There is so much power in the written word and it is my hope and prayer that my passion for history will make a difference in the world. So my question to you is this: Is there a book you really want to read but does not yet exist? Start asking questions and you never know where that simple exercise might take you! Writing is hard work. New to the field of writing, I never anticipated the amount of time taken up by revisions. When I first started my manuscript, I wrote it as a non-fiction book in about 3-4 months. After attending my first writer’s conference, the 21st Century Non-Fiction Writers Conference, I realized my story was not ready to send out to literary agents. It needed more work. In fact, it needed a complete remodel in order to transform it into a historical fiction piece. 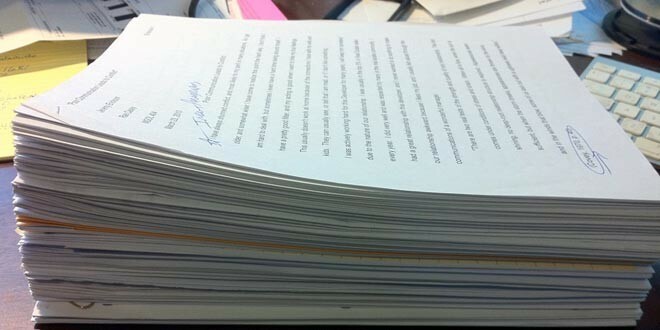 This process took about two months of writing and another month of revisions and edits. Initially, when I interviewed my agent I knew I wanted to work with her because of her editorial style of approaching her clients’ work. You see all agents aren’t willing to help you enhance your manuscript before its sent to the publishers. I actually had a few agents tell me that my story was very interesting but because my dialogue needed some work they weren’t going to offer representation. I was so happy to know that my editorial agent was willing to help me perfect the manuscript giving it a stronger chance of getting purchased by a publisher. Right now I am in the revision process and with each rewrite it becomes so much better. ​I agree with Roald Dahl and have seen firsthand how good writing has come from my rewriting. So if you have to revise for the 100th time---do it with the confidence of knowing your story will be all the better! ​I love reading the words of Dr. Martin Luther King, Jr. He was such a master and powerful wordsmith. He had the ability to paint pictures with his words and evoke deep emotions. Martin is one of my heroes in so many ways, not only because of the leadership he gave to the Civil Rights Movement, but especially in regards to writing and communicating. Whenever I listen to his speeches I get charged up and ready to fight against injustice. His writing invokes the same response--just read his words below and see what I mean. “The deep rumbling of discontent that we hear today is the thunder of disinherited masses, rising from dungeons of oppression to the bright hills of freedom, in one majestic chorus the rising masses singing, in the words of our freedom song, ‘Aint gonna let nobody turn us around.’ All over the world, like a fever, the freedom movement is spreading in the widest liberation in history. The great masses of people are determined to end the exploitation of their races and land. They are awake and moving toward their goal like a tidal wave. You can hear them rumbling in every village, street, on the docks, in the houses, among the students in the churches and at political meetings. I just want to shout "Amen' and "Hallelujah!" Kings use of word pictures were brilliant and so powerful they moved millions of people into action. ​ As a writer he is my mentor and I can only hope and pray that as I study his art form I will also inspire and educate others with my writing. 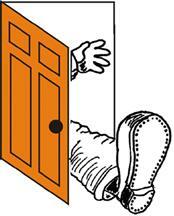 My Foot Is In The Door--Agent Offer of Representation! I recently completed a debut children’s historical fiction, picture-story book entitled Uncle Manuel and the Story of New York. The Writer's Digest listed you as an agent looking for diverse books featuring under-represented voices and I believe it is a good fit for your consideration. It’s an exciting story about the true accounts of Groot Manuel and the colonial slaves of New York City. Written in a story-telling voice, Grandma Jenny passes along the family history of Uncle Manuel to her grandson Christopher who had an incredible journey from slavery to becoming one of the first free black land owners, ultimately living in New York’s “Land of the Blacks,” today’s Washington Square Park. Uncle Manuel and the Story of New York is full of tantalizing details of how enslaved Africans contributed to building the infrastructure and economy of colonial New York. Albeit a serious topic, it is written in such a manner that will not only fascinate young audiences but adults as well. Parents and educators will be pleased to learn of Africans’ early influence in this nation. I have a bachelor’s degree in Education from the University of Oregon and currently homeschool my four children in Mt. Vernon, New York. As a writer, it is my desire to uncover golden nuggets of our history and make the information accessible to younger audiences. This is what I did with Uncle Manuel and the Story of New York. This book will not only become a wonderful teaching tool, but it will also meet the growing need of parents’ desires to captivate younger children with quality text that provide real knowledge. Uncle Manuel and the Story of New York is complete at 1,177 words and is included in this submission. It includes two special sections, "More about Groot Manuel" and "About the Research." It will also include a glossary, a timeline of slavery in New York, a list of websites for further enjoyment, and a bibliography bringing the total word count to 2,612. This is a multiple submission and I thank you for your time and consideration! So over the course of three months I submitted to agencies that were soliciting for children’s paperback and diverse voices. Every agency website pretty much made it clear that if they did not respond to the email, they were not interested. “Oh my gosh—no way! !” I yelled. All of my children crowded. Okay, Okay but I can’t think with all of you screaming. What did this mean—she found my story interesting and wanted to talk about editorial suggestions? Did she think it was a good story idea but needed a complete overhaul? Did she think I should make it into a chapter book or novel instead of a paperback? I did not sleep well that night. The next day I prepared for the phone call as if I was interviewing for a job. (I will write another post on how I prepared for the call). The next day everyone was filled with excitement and anticipation. I spoke with the agent for about 40 minutes and at the end of the call, she affirmed that she was offering her representation. Let me just tell you there was more screaming and running through the house with the kids. Now I have a foot in the door. The journey continues! Ayanna is a debut author that enjoys writing fiction, historical fiction, non-fiction, and poetry for children. She finished her first manuscript in 2015 and is currently working with a literary agent to represent her work to Publishing houses.